By Guest Writer on April 21, 2016 | Comments Off on How is the Asia-Pacific Region Moving Forward in ICT? 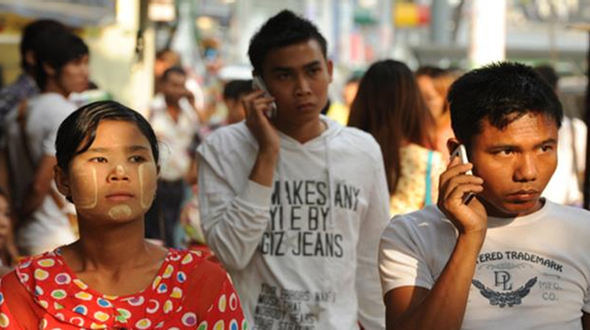 What does it mean to be “connected” in Asia, the world’s most populous region? From hyper-connected Hong Kong and Singapore to disconnected North Korea, several billion people have several billion difference Internet experiences. Hence the San Francisco Technology Salon question: Is the Asia-Pacific Region Leading in Internet Connectivity? The conversation mainly focused on regions that were not hyper-connected, their barriers to technology advancement, and what technologies and development experts could do to reduce the barriers. Places like Pacific island nations are a difficult business environment for connectivity. They are remote and with low population densities, not as economically viable for expensive connectivity equipment. There is some progress with undersea fiber optic cables as a way to connect the islands at lower costs than using expensive satellite connections, but more can be done. Located next to prosperous neighbours, Cambodia doesn’t have a location problem, but it does have other issues. People struggle with text input because technology made outside of the country doesn’t always offer Khmer-language keyboards. Even when the technology does have Khmer support, over 25% of the adult population is illiterate. Digital illiteracy is even higher. Too often the technology adoption conversation is focused on lowering the price of devices or connectivity. Yet affordability is just one piece of access and adoption. In addition to addressing “Can I afford it?”, one also has to answer “But why would I buy it?” As another participant said, there are many “artificial attempts” to get user adoption that are not grounded in the user realizing a need, but in the seller trying to create a fake one. The tools of Silicon Valley shouldn’t be casually inserted into the Asia-Pacific region. Developers will find this approach to be very ineffective. Instead, they need give an extreme amount of attention to local language and environmental needs first. I fiercely believe that technology needs to be created from the very beginning with local cultural and language needs in mind. As a resident of The Bay Area, it is easy to hear technologists talk about how users need to adapt to new technologies. The opposite should be happening. Technological entrepreneurs should be spending more time at the local level first imagining how their products could be used – and would even want to be used – by communities, before even building their software. With this is mind, small communities in Asia, the Pacific region, and around the world can finally have their needs meet from day one.